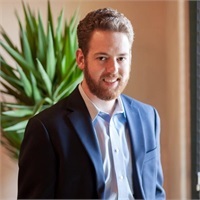 Preston Weaver joined Rembrandt Financial Group in early 2016 soon after receiving his bachelor’s and master’s degrees in Personal Financial Planning from Texas Tech University. This program is recognized as one of the premier financial planning programs in the country. To further his education even more, he also recently received his CERTIFIED FINANCIAL PLANNERTM designation. Preston brings a diverse planning background to the team, having worked with other financial planning firms around the country. As the Director of Client Services, Preston works with clients on higher end customer service issues, helps build client relationships, and assists our advisors by performing investment research for Rembrandt. He also works with the advisors to walk clients through our holistic planning process and work towards the best possible outcomes. In his free time, Preston enjoys running, cycling, rock climbing and learning about history. He makes his home in South Austin.